High quality business checks are available through TranSource. Produced by the largest financial printer in the United States, our laser and continuous computer checks are guaranteed to be compatible with your accounting software. 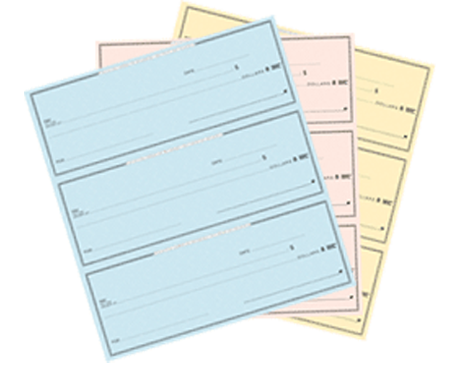 These checks are perfect for your accounts payable, petty cash and payroll business needs. TranSource checks are also great for store/restaurant use as beer, wine, and liquor checks. As a companion to our business checks, compatible window envelopes are also available to support your needs.